Trinseo (NYSE: TSE) the global materials company and manufacturer of plastics, latex and rubber, will showcase its plastics for LED lighting at Strategies in Light Europe at booth B8 from November 18 – 19 at the ExCel Convention Center in London, England. Strategies in Light is co-located this year with LuxLive, Europe’s biggest annual lighting event. Trinseo began supporting LED Lighting customers early on in the industry’s evolution and consequently has a keen awareness of the needs and expectations of OEMs and designers in this fast-moving industry. By collaborating with customers, Trinseo is able to customize technology and solutions to meet various application objectives while providing properties in functionality, appearance, and performance that are important to this market segment. The company’s EMERGE™ PC 8830LT Advanced Resin has been recognized for its ability to fill the need for a transparent, thin gauge, flame retardant plastic. The material is UL94 rated V-0 at 1.0mm and 5VA at 2.5mm and is the next generation advancement in Trinseo’s EMERGE™ PC 8000 series. Another is its TYRIL™ 905UV SAN Resin, a cost effective PMMA (a clear plastic acrylic material) alternative. Trinseo offers a broad portfolio of materials under the CALIBRE™ Polycarbonate Resin and EMERGE™ Advanced Resin brands. This includes transparent, light diffusion, ignition resistant, and reflective grades used by several global OEMs for lenses, optics, diffusers, reflectors, and housings. Additionally, we have a series of products designed to accommodate ever-stringent environmental and regulatory requirements, including materials with non-halogenated flame retardants and post-consumer recycled material. 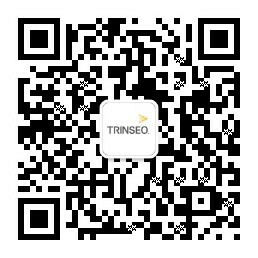 To arrange a meeting at the show with Trinseo, please contact Paula Biskup, global business communications manager.